Cook the tagliatelle in boiling salted water for approx. 3 mins., add the peas and cook for a further 3 mins. 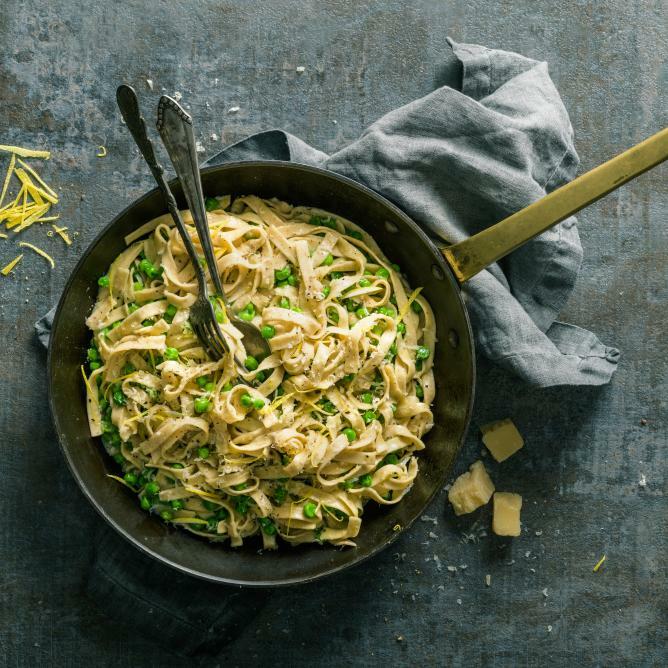 Set aside 100 ml of cooking water, drain the tagliatelle and peas. Combine the eggs with the Pecorino and reserved cooking water, mix in with the hot tagliatelle, season. Stir a little grated organic lemon zest into the sauce prior to serving.